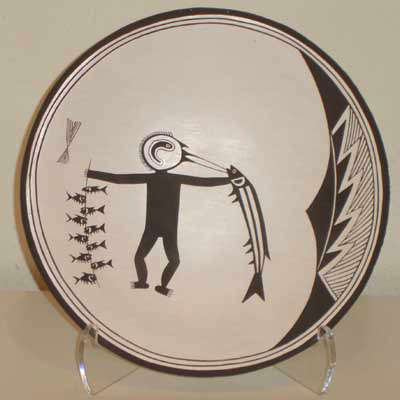 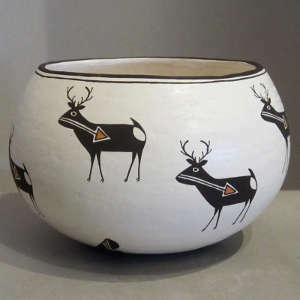 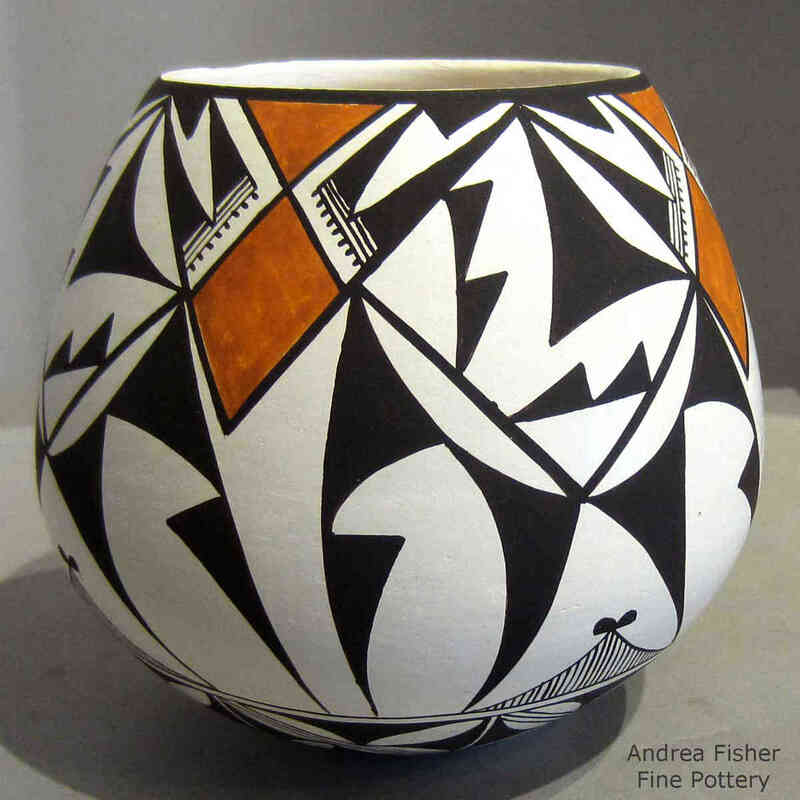 Emma Lewis Mitchell is the daughter of the famous Acoma matriarch, Lucy M. Lewis and has been an active potter since 1952. 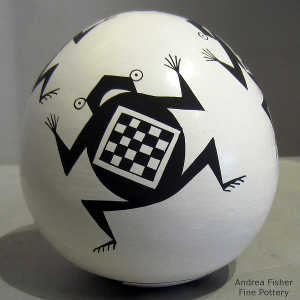 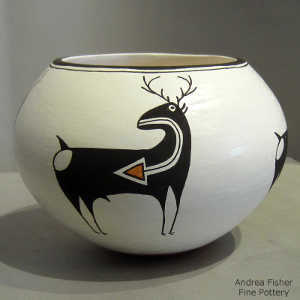 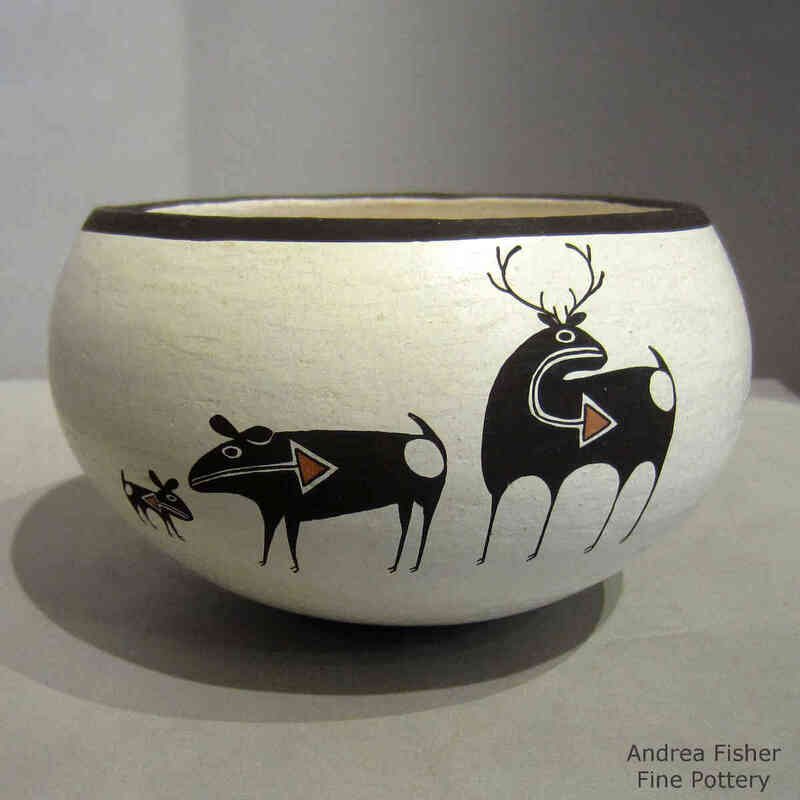 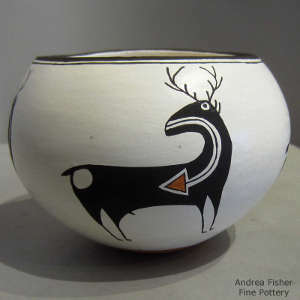 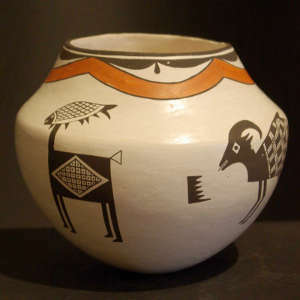 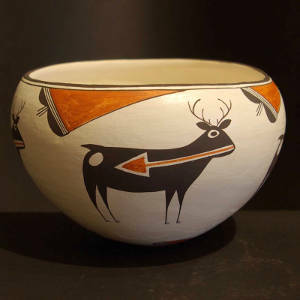 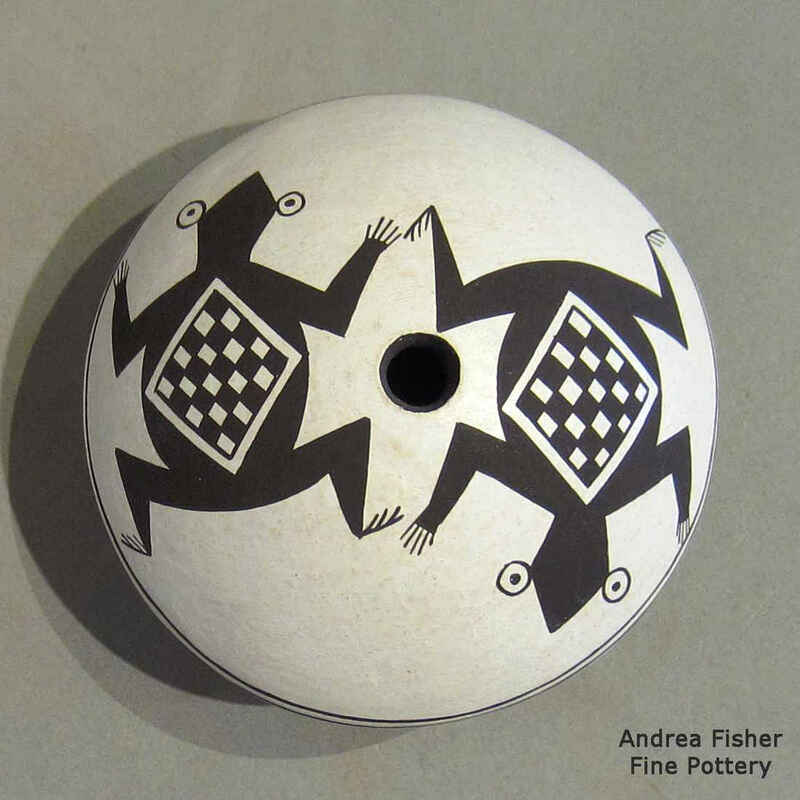 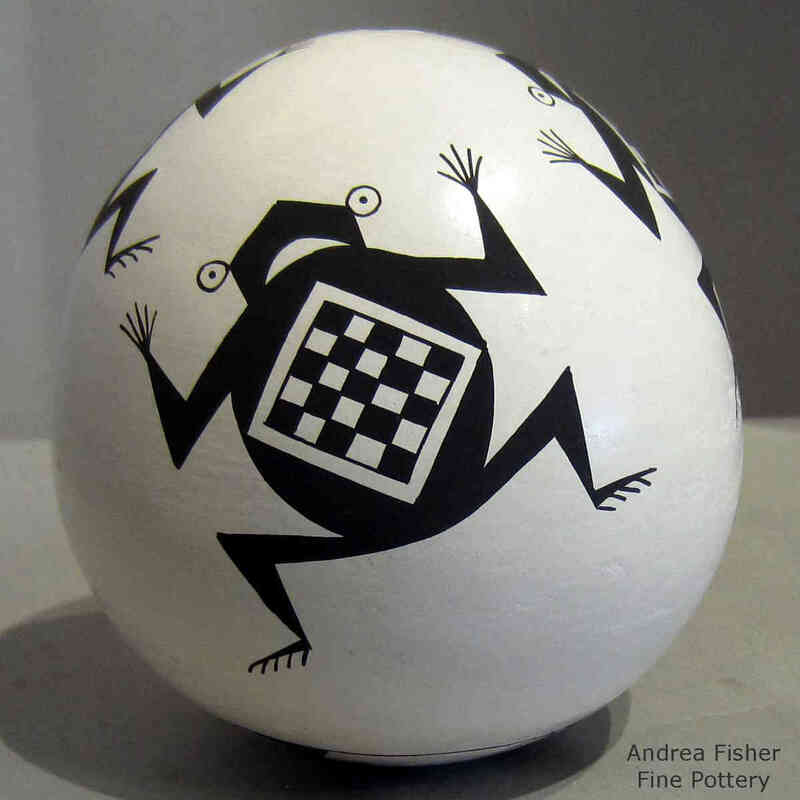 She works a lot with Mimbres and Anasazi Revival black-on-white and polychrome ollas, jars, bowls, seedpots, plates and owl figures. 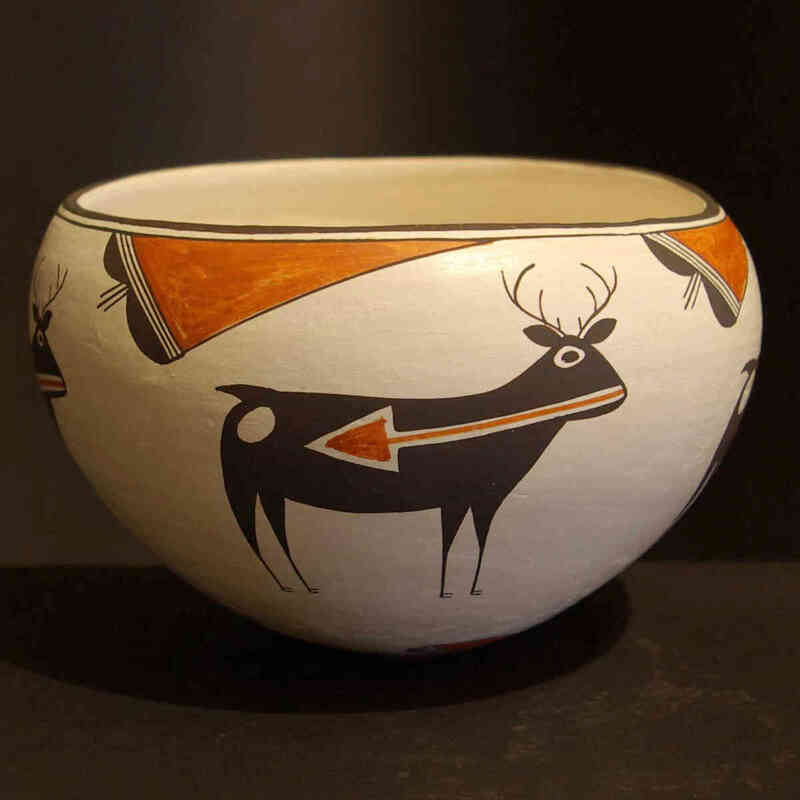 She first showed at the Santa Fe Indian Market in 1960 and has won many 1st place awards over the four decades of her participation. Emma's work is included in nearly every major institution and private collection including the Heard Museum, Harvard's Wright Collection at the Peabody Museum, Maxwell Museum, Brooklyn Museum of Arts and many more.